Would you like to stay overnight in Rottenburg am Neckar? You may use the direct online booking system DIRS 21. We are pleased to announce the publication of a guide to walking and hiking in the Rottenburg area. In addition to the hiking trails suggested by the Schwäbischen Albverein, it also includes 5 other tours of varying length. The guide is available free of charge either at the WTG or, on request, by mail. Alternatively download the guide here (3,3 mb, german description). 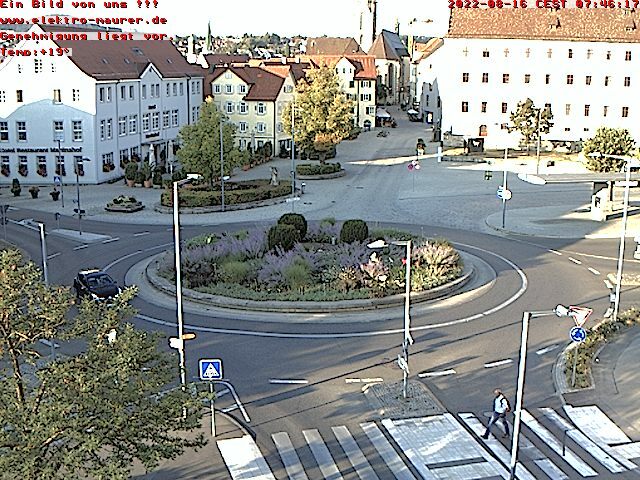 From the webcam at the market square you can view the heart of the town. This is an ideal way to watch events online. 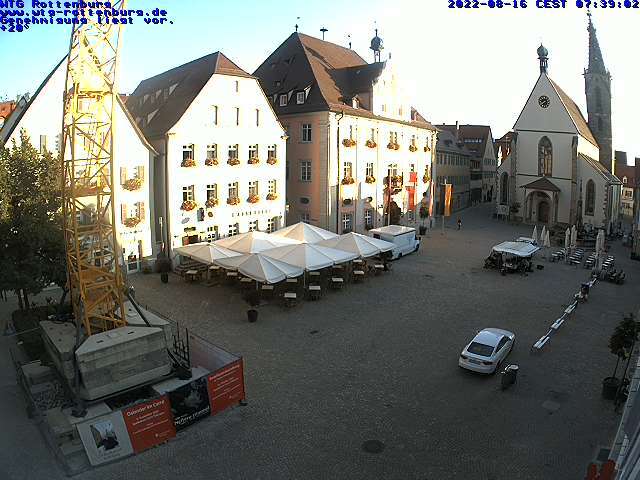 The Diocesan Offices, the Seat of the Bishop of the Catholic Diocese of Rottenburg-Stuttgart, can be viewed from the second webcam at the Eugen-Bolz -Platz.